Slamming isn’t the only way to use it. When you’re a kid, you bounce rubber balls for fun. 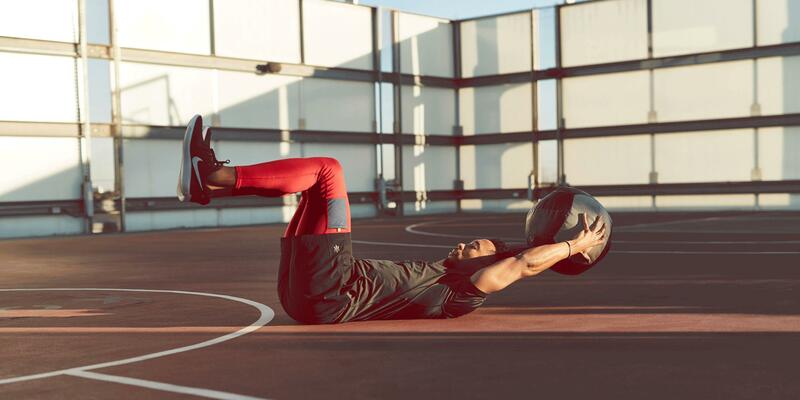 When you grow up, you slam medicine balls for fitness. But you can use the tool to train your body in dynamic movement patterns without slamming it. To mix up your routine, try the total-body circuit below. Move immediately from one exercise to the next and repeat for a total of 3 rounds, resting 30 to 90 seconds between each round. Hold a medicine ball with both hands and lie face-up on the ground. Extend arms overhead and bend knees 90 degrees, raising calves until they’re parallel to the ground, feet flexed. Lift head and shoulder blades, then extend right leg and lower it until it nearly touches the ground. Return leg to start position and repeat. Do 10 reps with the right leg, then repeat with the left. Stand with feet hip-width apart and staggered (left foot in front of right), knees slightly bent, holding a medicine ball with both hands in front of you, elbows bent by sides. Quickly hop out to right with right foot, moving left foot behind you, as you lower ball to outside of right hip. Immediately pivot and hop left foot out to left, as you rotate torso through center and perform a forward chest pass, tossing the ball over to your left. Do 5 reps; switch sides and repeat. Hold a medicine ball at your chest. Drop down to do a squat thrust (make sure the ball is directly under your chest at the bottom). Once you're back to the starting position, do a reverse lunge, passing the ball behind the front leg. Return to standing position for one rep. Repeat, switching legs on the reverse lunge. Perform 16 reps total (8 per side). Stand to the right of a step (or low box) with feet hip-width apart, knees slightly bent, holding a medicine ball in front of chest, elbows bent by sides. Lunge forward with left leg, immediately pivot and turn toward step, then lunge forward with right leg, placing foot on step, as you use both hands to pass medicine ball to someone in front of you. 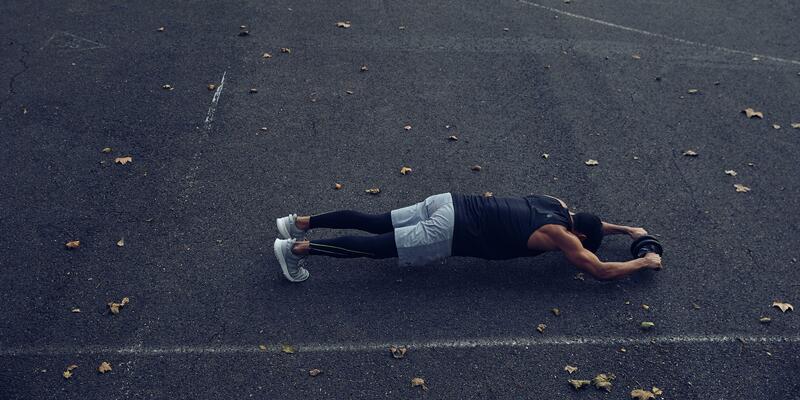 Do 5 reps; switch sides and repeat. Start in deep squat position holding ball with both hands in front of body, elbows bent about 90 degrees, keeping core engaged and back flat. Drive hips forward to stand, rising onto balls of feet as you throw ball behind you overhead. Retrieve ball, then return to start and repeat for a total of 12 reps.